Happy Pride Month 2017, CollegeXpressers! Even though we support our LGBTQ friends all year long, we're psyched to honor this special month too. And if you're looking for LGBTQ resources as part of your college search, keep reading! When looking through your college choices, it’s important to find a school where you feel comfortable. For many LGBQT (lesbian, gay, bisexual, queer, transgender) students, that can sometimes be a little harder to find. But it becomes easier when you know what’s out there and what you can look for. In fact, most colleges offer LGBQT resources on their campuses. And like so many other campus services, these organizations provide support for all kinds of issues. Depending on the college, these resources range from LGBQT support groups to gender-neutral housing or restrooms to leadership programs especially for queer students. These programs aim to bring LGBQT students together with pride and comfort. Many colleges also offer seminars and help to LGBQT students who may be struggling in some way. Or you may find campus committees who represent LGBQT students in the development of school policies—especially if those policies may be unfair. For example, one study showed that LGBQT students often don’t have the same opportunities as their heterosexual classmates; those committees make sure those issues are addressed and fight for students’ rights. Some colleges and universities hold inclusive events like Pride parades or festivals—events dedicated celebrating who you are with crowds of people who both relate to you and support you. It’s a good way to meet new people and make friends. It’s also a fun way to embrace who you are and feel proud of your identity. LGBQT students get a chance to shine during Pride! Does the college or university have LGBQT camps clubs or committees? Do they offer gender-neutral accommodations? Are there classes or other source work related to LGBQT issues? Do they have any Pride events? Is there LGBQT representation amongst campus leaders (president, provost, etc.)? Choosing which college is right for you is a lot like choosing your new home. Many LGBQT students find a family at their campus, a tight-knit group of people who support and understand them. It’s important that you feel comfortable, happy, and free to be exactly who you are. LGBQT resources should be a requirement on your college checklist, alogn with research into what those resources entail. There is a place out there for everyone. A place where you will be not just accepted but embraced. A place where you will thrive, be happy, and go on to do great things. 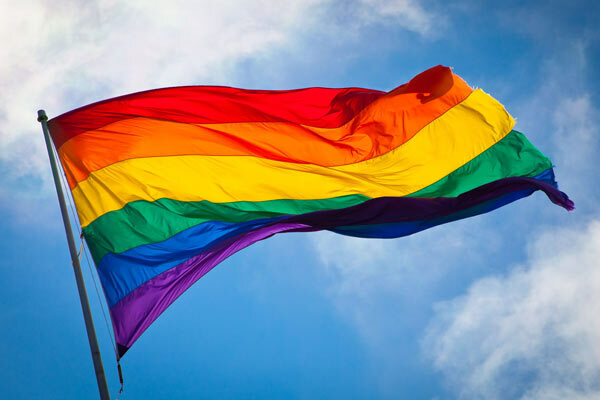 Campus Pride: The LGBT-Friendly Index: This list is based on the LGBT-Friendly Campus Climate Index developed by Campus Pride. These colleges received high scores on LGBT campus life based on their inclusive, welcoming, and respectful atmosphere toward LGBT students. Colleges where the LGBT (Lesbian, Gay, Bisexual, Transgender) Student is Comfortable: At these colleges, campus pride is more than just about football games. Gay-Friendly Colleges: You won't be hard-pressed to find LGBT groups and events at these schools.